This song was shot on the Beautiful Alps in Austria which has captured the heart of the old and the young. Well, there is more to Austria than we know or heard of. Austria maintains permanent neutrality, after seeing the damage that the world wars had done. Austria is the birthplace of Western Classical Music. Guess what! It is also the birthplace of Hitler. No, he was not born a German. Austrian flag is the oldest flag in the world. Vienna’s Schonbrunn Palace got its name from the spring that provided water to the palace. Schonbrunn means blue fountain. It is said that the water tasted so fresh that Emperors used to get it delivered straight to their table. Artist Edwin Lipburger had issues with Austrian authorities over violation permits for his spherical house. He made up his mind to declare independence from Austria. He called his new country the Republic of Kugelmugel (Ball Hill). Authorities moved his spherical house to Prater Park which is in downtown Vienna and put a barbed fence around it. This rebellious artist refused to pay taxes. A presidential pardon was granted and he stayed out of prison. Today, Kugelmugel is a major tourist attraction. Want to know more crazy facts about Austria, then how about going there and finding out? 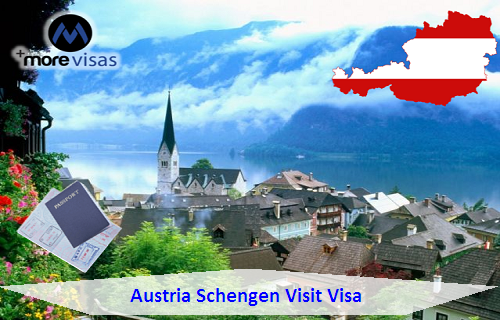 All you need is an Austria Schengen Visit Visa, which you can apply through us and you are good to go.